Week 5 has come and gone. If you need a break from studying for your midterms, read up on the news you might have missed this week. SRC (Student Representative Council) 2 occured in week 5. The SRC discussed motion 8.3, asking for ANUSA’s support for the Refugee Action Campaign’s rally on Palm Sunday, and a condemnation of mandatory offshore detention. The motion, and an amendment binding the contingent to “respect the needs and safety of members” attending the rally both passed. The jury in the retrial of Alex Ophel gave a verdict of not guilty due to mental impairment. Ophel remains in custody under the Mental Health Act. The jury deliberated for four days, after three weeks of hearings. The ANU Union Precinct officially opened on Thursday. 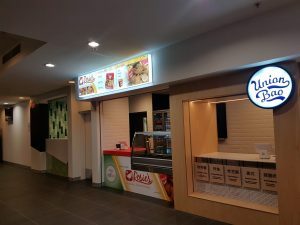 The precinct is located under Lena Karmel Lodge, and features Union Court favourites ANU Union Bar and Rosie’s Chicken, as well as new vendors. The Daily Market supermarket in Kambri opened this week. It is located in the Lane, next to the Chemist. Tutorials for ECON1101 have been segregated by gender for a Research School of Economics study. Participation in the study was optional, but students were not made aware that their choice would affect the teaching of the course. The ANU announced the 2019 Alumni Award winners. Recipients this year include comedian Hannah Gadsby and ACT Magistrate Louise Taylor.